ibis Chengdu Kehua Chengdu, Hotel People's Republic of China. Limited Time Offer! Ibis Chengdu Kehua. 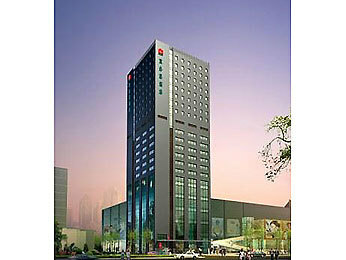 "Ibis Chengdu Kehua" has received 3 stars. This residence is ideal for visiting Chengdu. 192 bedrooms are featured. Inside, you will always find a pleasant temperature thanks to the relieving air conditioning. For a drink in the evening, guests can visit the lounge bar. For those who like to keep track of their email, there is Internet access available.